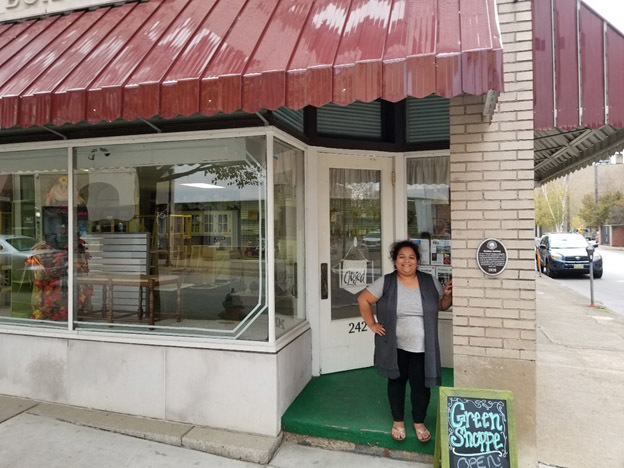 The Green Shoppe, owned and run by Julie McClymonds, sells sustainable products such as green shampoo, hand soap, children’s toys and clothing. As part of her efforts to help people make greener choices and live a healthier life, she also offers workshops and makeovers through Green Irene LLC, and supports local artists. Four years ago, the family moved from San Diego back to Meadville, to her grandparents' house that she knew as a child. Julie McClymonds recalled that "we were the oddballs, with all our eco-friendly green stuff. Over the course of a couple of years of living here, we found ourselves doing a lot of explaining and educating of why we chose the lifestyle we chose, which was going more green and being more conscious of what is going on.” The Shoppe came into fruition by sharing that passion with others. In September of 2014, the store first opened at 305 Chestnut, and in September 2017, it re-opened in the larger space at 242 Chestnut St. The Green Shoppe is located in the historic Meridian Building, whose contribution to the Meadville Downtown Historic District is marked by a commemorative plaque. 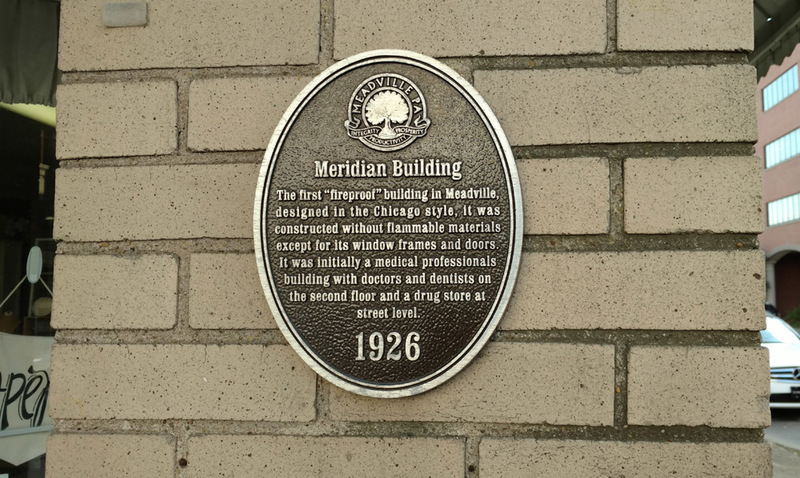 The Chicago style building dates from 1926 and is noted for being the first fire-proof building in Meadville. 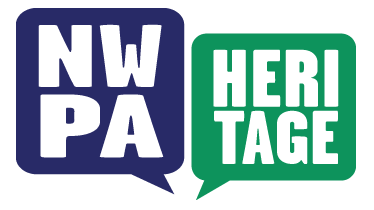 Julie McClymonds gives advice to a young person starting a business in Meadville. Creator: Daniel Trombola and the History 191 Audio Team. Daniel Trombola, “242 Chestnut St: The Green Shoppe,” NW PA Heritage, accessed April 26, 2019, http://nwpaheritage.org/items/show/57.